Christmas has been sneaking up on us and with the festive season about to hit my mind has turned to gifts, as I am sure has yours. Over the next few weeks I thought I would share some ideas with you for Christmas gifts. Starting today with a few gift ideas for the children and babies in your life. It could be just me but I am always worried about what gifts you should get children, after all they will be getting gifts from Santa and from everyone else too. Many of which will be toys, I mean there are plenty of ideas out there and such a huge range of toys available. Each year I try to make an effort to get the children a gift that is a little different. Not something odd that they won't use but a gift that maybe isn't expected, A surprise to open. With that in mind I've put together a few ideas of gifts for children and babies. Starting off with two great ideas for the children on your list this year. One of the go to gifts for adults has always been bath product sets. They are everywhere this time of year. I don't know about you but I love getting new products for the bath at Christmas! D loves bath time too, in fact he usually gets really excited and loves to stand beside the bath and watch the bubbles form in anticipation. One of our favourite bath time products is from the Childs Farm range. I recently discovered that Childs Farm have gift sets with bath products for children! How had I never discovered this before? Childs Farm was started back in 2010 when Joanna founder and mum of two set out to find a conditioner which didn't contain parabens and other nasties while being suitable for her girls sensitive skin. Childs Farm make a range of bath products for children and babies which are suitable for all kinds of skin and hair types, including sensitive skin. To make it even better they do it right here in the UK! The products have all been approved by both pediatricians and dermatologists too, giving you peace of mind that they are safe for even children with eczema. We just love Childs Farm hair & body wash! Which is actually one of the products found inside the Childs Farm Top to Toe Gift Set. Inside the set you will also find Childs Farm Bubble Bath and Childs Farm Moisturiser all kept in this lovely little zip lock bag above. Each of the products inside has its own scent which is easily recognizable and strong enough to be smelt while using the product but yet not over powering. Just perfect for children! Childs Farm Bubble Bath contains tangerine, while Childs farm Hair & Body wash contains sweet orange and Childs Farm Moisturiser contains grapefruit and tea tree. All of which are organic. Although both the Bubble Bath and Hair& Body wash smell similar there is a distinct scent to each. I love smelling the sweet scent in D's hair when we get a hug or cuddle! We have previously stuck to Childs Farm Hair & Body wash or body products from Childs Farm. 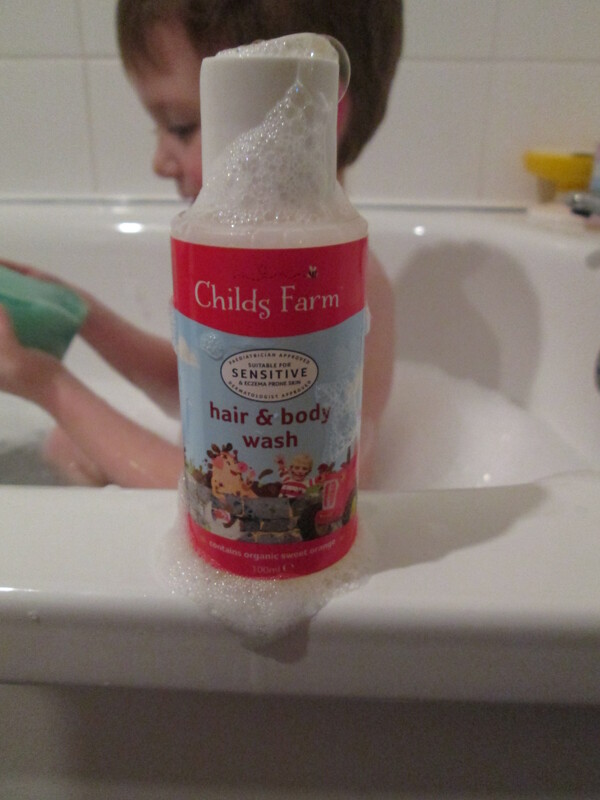 Childs Farm Hair & Body wash creates a great foam with very little product which is perfect for children. D adores getting covered in soap and getting to rinse it off a little at a time. Adding Childs Farm Bubble Bath into the bath creates foamy type bubbles. Which are great fun to play with. D always has to have bubbles and I have no idea why we have never used Childs Farm Bubble Bath before. It smells divine! The final product in the Childs Farm Top to Toe Gift Set is Childs Farm Moisturiser which I think might be my favourite one from the set. It literally feels like silk while you rub it in, with a gorgeous scent that just drifts to your nose. D loved smelling his hands and arms after we had applied it. Since it is all natural the skin absorbs it really quickly, with no chemicals slowing the process. Plus the skin immediately feels softer! I must admit that I have also been using Childs Farm Moisturiser on my arms where I still get a little eczema flare up. I also noticed it's been fading since I started using it. All the Products in Childs Farm Top to Toe Gift Set come in 100ml bottles with the lovely bright, child friendly packaging. All of which have an easy to use pop open lid that can be opened with one hard push and doesn't let liquid leak out without a squeeze. The Childs Farm Top to Toe Gift Set would be a great gift for children who like D love bath time, bubbles and bath products. I think the set would make a great gift on its own or as part of a larger gift with PJ's and other little bits! The Top to Toe Gift Set would also be the perfect size to be an addition for bath time on Christmas Eve inside a Christmas eve box if you do one. Since they can be used by all children it could even be added to a shared box adding some excitement to the bath time on Christmas Eve. You can purchase your own Childs Farm Top to Toe Gift Set (RRP £8.99) From the Childs Farm Website by clicking on the link. The Childs Farm range is available from Childs Farm, Boots, Tesco and Superdrug just to name a few stores. In our house we are all avid readers, D and Baby S love having story time at least once a day. Getting a new book can be so exciting for them which is why I of course had to include a book in our gift ideas. However this is most certainly not a normal book! 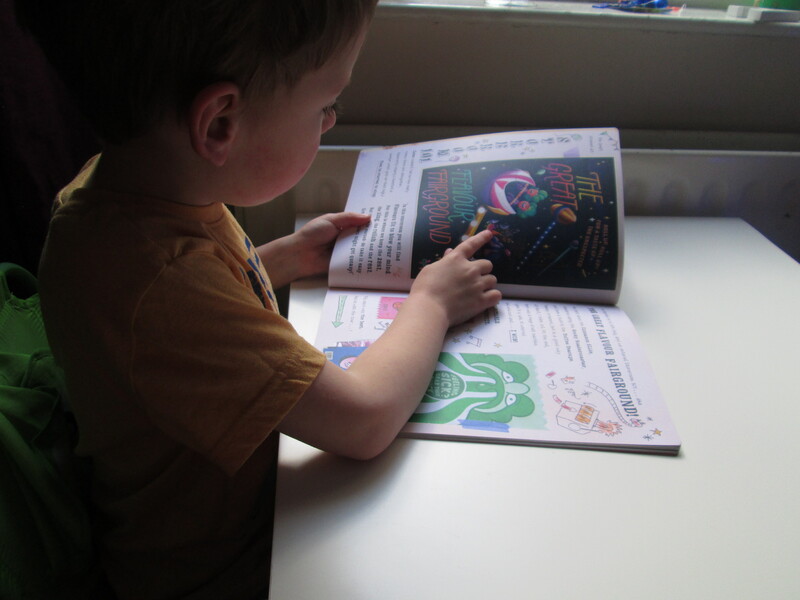 Wonderbly is a company who create personalised books for children, with a difference. Wonderbly was started by 4 friends who wanted to create a unique personalised book like no other. They did just that with a book called Lost My Name, which became a company and after selling thousands of books the collection of uniquely personalised books became Wonderbly. One of the newest additions to the Wonderbly collection is My Golden Ticket. No, I know what your thinking. It's not just a repeat of Roald Dahl's Charlie and the Chocolate Factory with a child's name added here and there. My Golden Ticket by Wonderbly is a book about your child's own adventure through the magical wonder that can only be Willy Wonka's Chocolate Factory! With incredible personalisation added during the making the whole book is formulated using the unique make up of your child's name. The journey starts through the ordering process. Creating My Golden Ticket is so easy on the Wonderbly site. The options start right at the beginning when you can pick hardback or soft cover. I chose soft cover. You are walked through each section of the book which can be personalised starting on that very first page where you can add not only the child's first and last name (I have added D's but have covered it for the purpose of this post) but you can leave a special message in the bottom right hand corner of the page like I have done above. The personalisation doesn't stop there either, you have the option to add in another person to accompany them through the journey. I added myself in since Charlie and the Chocolate Factory was one of the Novels D and I adored reading together. Once you have added one or both people you can go through the book page by page. Allowing you to really see just what Wonderbly can do with their amazing algorithm which takes your child's name and makes a chocolate bar and even an Oompa Loompa song about it! Any Wonka fan will be utterly thrilled! 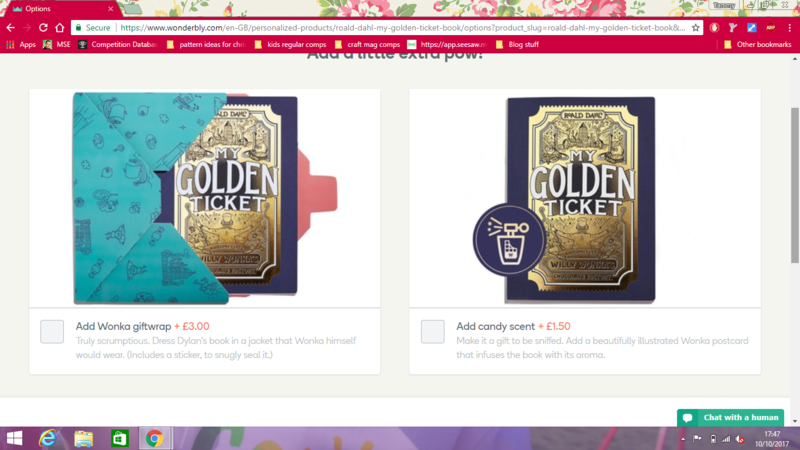 The final step in creating My Golden Ticket by Wonderbly (well before delivery) gives you the option to add a unique Wonka gift wrap which is only available with this book and the option to add a candy scent! I simply couldn't resist adding the scent. The day of delivery arrived, upon opening the box I was immediately hit with the sweet smell of candy. It took me a while to figure out that the whole book isn't scented but that the Golden Ticket printed on the cover is. Both D and I had been amazed at the golden ticket on the cover. It not only looks amazing but each line is etched into the ticket itself. Running your finger along the book really lets you add a little more magic to the experience. 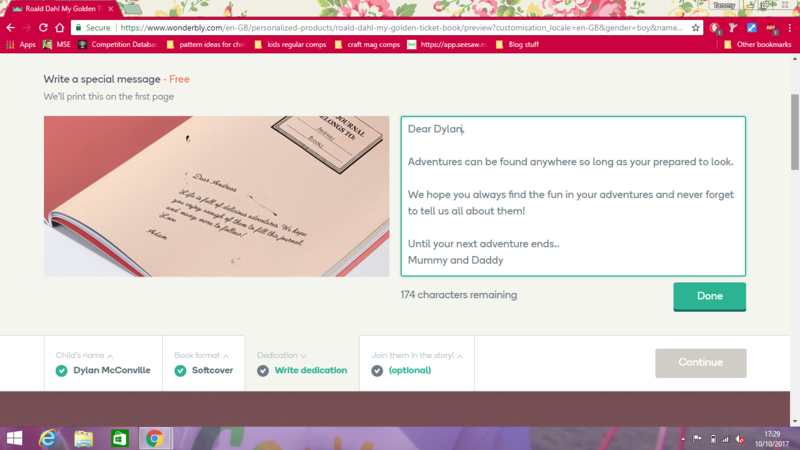 The very first page in the book is the page personalised with the child's name and the message I wrote to D. As you can see above D was amazed to find out that he was the main character and was going to go on an adventure! From the moment you open the book you can really tell how great the quality is. Each page is made with quality paper which feels smooth to the touch. As we dived into the story D loved hearing all about the adventure and seeing all the little mementos which had been added. My Golden Ticket by Wonderbly doesn't seem like a story at all. It seems more like a scrapbook of an adventure ready to be rediscovered over and over. Wonderbly really paid attention to the little details. So many of the ticket stubs, maps and wrappers added have got creases, tears and signs of use! While clearly showing that each item has been taped in just like a scrapbook. D loved that there was drawings on most pages which looked like something D himself may have drawn. 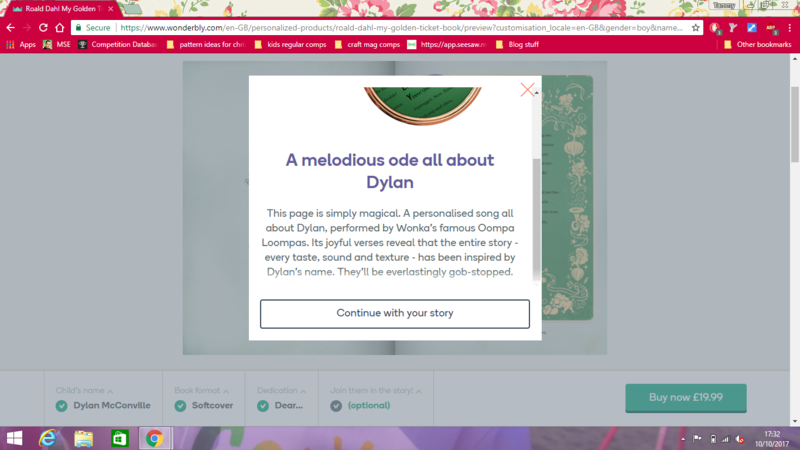 The added personalised oompa loompa song to My Golden Ticket by Wonderbly is brilliant! D loved that the song was about him and really allowed him to think he was in the magic of Wonka's factory. D also liked that he had a whole bar of chocolate named after him. My favourite has to be the family tree! D comes from a line of Mumnuggets. A fruit that literally explodes! How cool. I love that Wonderbly dedicated a whole two pages to just the personalisation of D's last name. 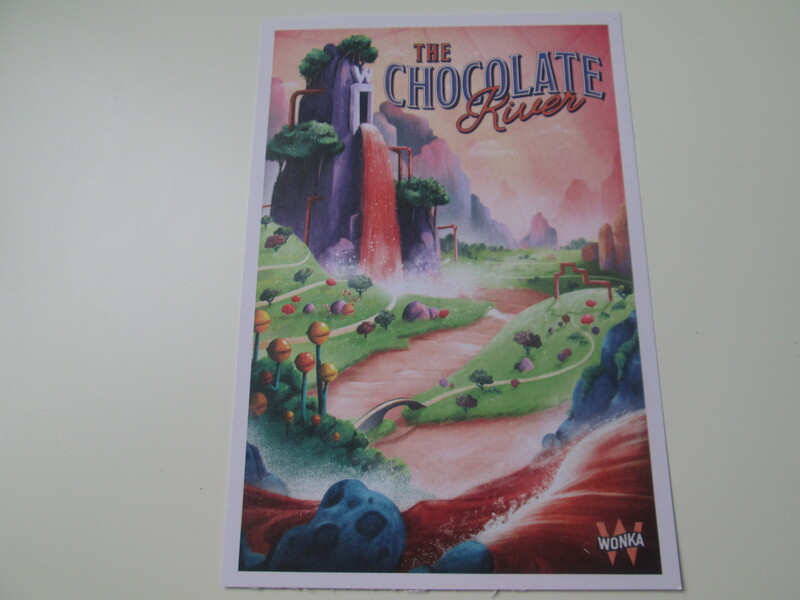 We also found this cute postcard hidden inside the My Golden Ticket. A great little keepsake which I plan to frame and add to the reading corner we will soon be adding to the children's bedroom. It is beautiful and such a lovely idea! I must say that although My Golden Ticket is geared towards children aged 5 - 12 years D has loved it. I lost count of how many times we have read it now and he still gets excited! 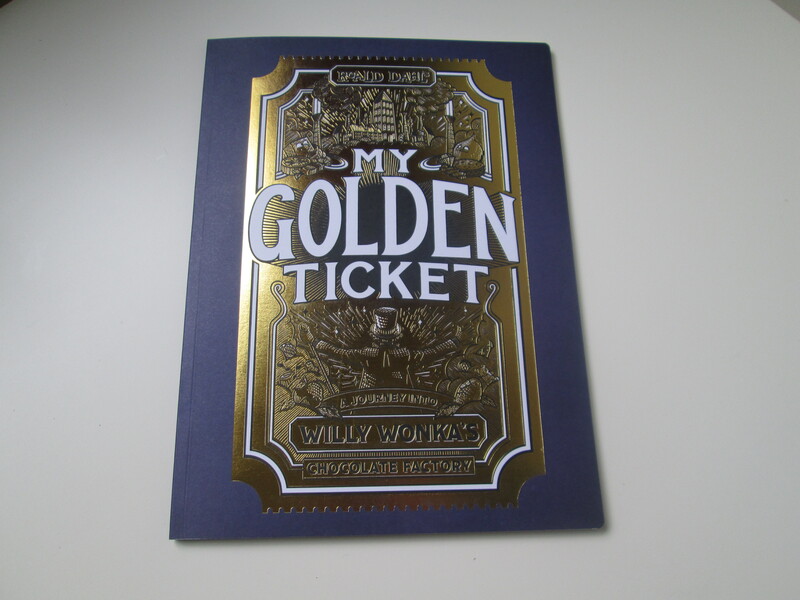 My Golden Ticket by Wonderbly would make the perfect gift for any book-worm. I think it would be a great gift for any child aged 5 - 12 years this Christmas. Book lover or not, the personalisation is so unique and exciting I think many children will love getting inside the story, maybe even be inspired for their own adventures too. You can purchase your own personalised My Golden Ticket from Wonderbly Starting from £19.99 by clicking on the link. I am not sure about you but I tend to find babies really hard to buy for! Especially when they are still very young. Baby S will only be 6 months this Christmas and at the minute she's only starting to be really interested in toys. Each year we usually have at least one baby in our family to buy a gift for. Something which usually means I stand in a shop staring at the various items thinking 'what does a baby need at Christmas?' So I thought I would share three ideas with you. As I mentioned above I have recently just discovered that Childs Farm do gift sets of their products for children. They do also have a baby range which they do gift sets of too. One of which is the Childs Farm Baby Bedtime Set which comes in this lovely box. The box allows you to see the three products included in the set by opening the front section of the box. Inside the Childs Farm Baby Bedtime Set there are three full size 250ml products from the Childs Farm Baby Range along with a voucher for 50p off your next purchase. Now I know that all Childs Farm products are suitable from newborn age however the baby range contains products which are either fragrance free or have a very little scent to them. The three products inside are Childs Farm Baby Wash which contains Argon oil and is fragrance free, Childs Farm Bedtime Bath which contains organic tangerine and Childs Farm Baby Moisturiser which contains both shea and cocoa butter. The whole baby range from Childs Farm is made to be used by babies from birth. 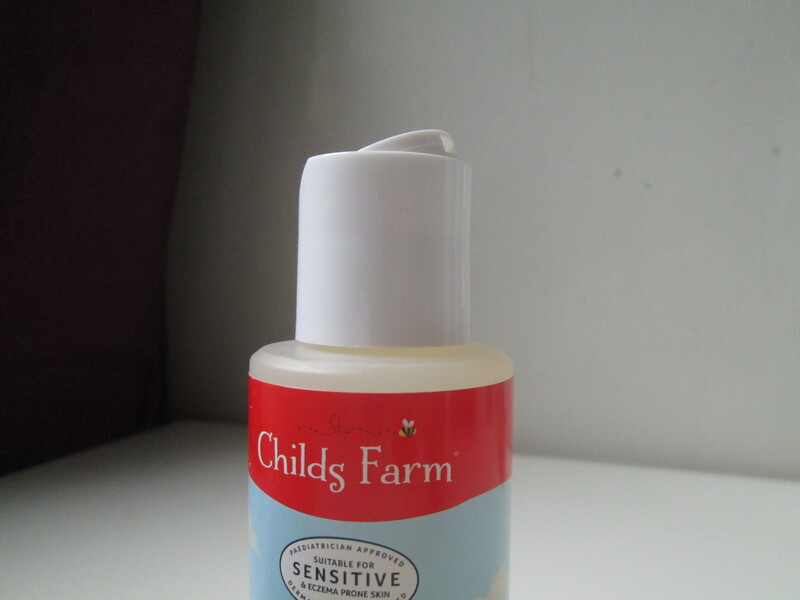 Since Childs Farm only use natural ingredients in their products which is perfect for babies delicate skin. The first product from the Childs Farm Baby Bedtime Set we used was the Baby Bedtime Bath which I just love the smell of. We did use this version of Childs Farm Bath after the children's Bubble Bath which is above. Having used the child's version and the Baby version I have to say that the scent is much more subtle in the Baby Bedtime Bath. I also noticed that it didn't bubble up quite as much, it did create a good amount of bubbles. I find that having too many bubbles in a bath while I'm trying to keep a good hold on Baby S can be difficult. I think Childs Farm Baby Bedtime Bath is perfect for when Baby S is getting in the bath on her own. The second product is the Childs Farm Baby Wash. I love that this one is fragrance free. One of my favourite scents in the whole world is that unique baby smell! Any one else? I love that Baby S still has her baby smell. the Childs Farm Baby Wash allows that smell to shine through even just after bath time. I find that with Childs Farm Baby Wash a little really does go a long way. A small amount allows me to wash Baby S entirely. 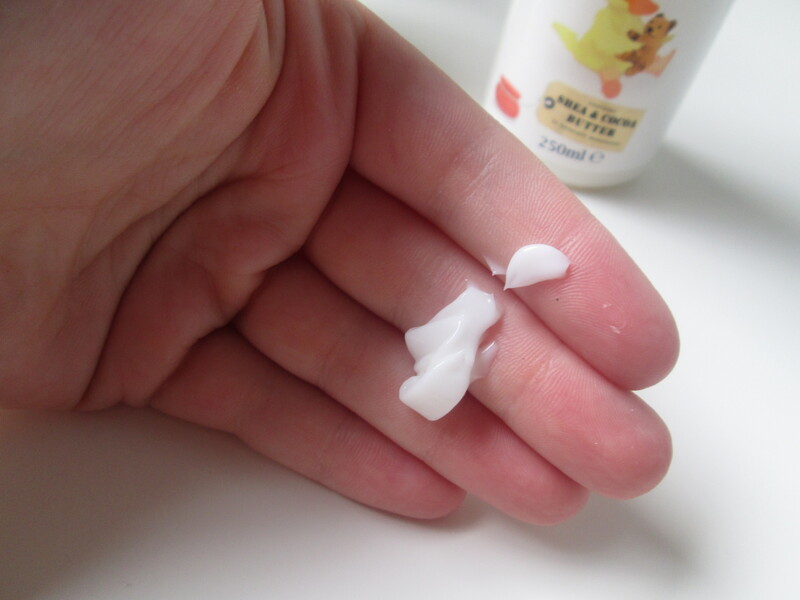 The final product in the Childs Farm Baby Bedtime Set is the Childs Farm Baby Moisturiser. Which unlike the other to products in the set comes in a handy pump bottle. I much prefer a pump bottle when it comes to moisturisers, even for myself! I find a pump easier to use since your hands are rather slippy straight after use. Trying to add a baby into the slippy hands, moisturiser and getting them dressed means pumps are a god send! I love this Childs Farm Baby Bedtime Set, bath time in our house is always at the end of the day. That means it usually happens as part of our bedtime routine. Although sometimes we like some lovely scents in the bath for both D and Baby S, there are times when we'd like to encourage them to fall asleep too. The Bedtime set is perfect for this with subtle scents which as far as I have seen with Baby S and D helps make babies and children sleepy. The Childs Farm Baby Bedtime Set is a great gift for babies you know this Christmas. The products are all perfect for babies and would be a great little gift for parents to open on Christmas eve too if that is one of their traditions. You can purchase this Childs Farm Baby Bedtime Set (RRP £12.99) by clicking on the link. The Childs Farm range is available from Childs Farm, Boots, Tesco and Superdrug just to name a few stores. If you aren't sure about which bath products the parents of the baby you are buying for use or might try then you might be better suited with another gift set from the Childs Farm Baby range. Perhaps the Childs Farm Baby Essentials Set would be a good pick for you. This set is a little different, as you can see it comes in a lovely little box which is shaped like a little gift already. Inside the Childs Farm Baby Essentials Set contains four smaller products from the Baby range. Inside the Childs Farm Baby Essentials Set you can find a 50ml bottle of Baby Bedtime Bubbles, 50ml bottle of Baby Wash, 50ml bottle of Baby moisturiser and finally a 15ml tube of Nappy Cream. Most of the products inside the Childs Farm Baby Essentials set are the same as those in the Baby Bedtime Set above. The difference being that they come in smaller bottles. This actually makes them perfect for families who are off to spend Christmas anywhere that isn't home. 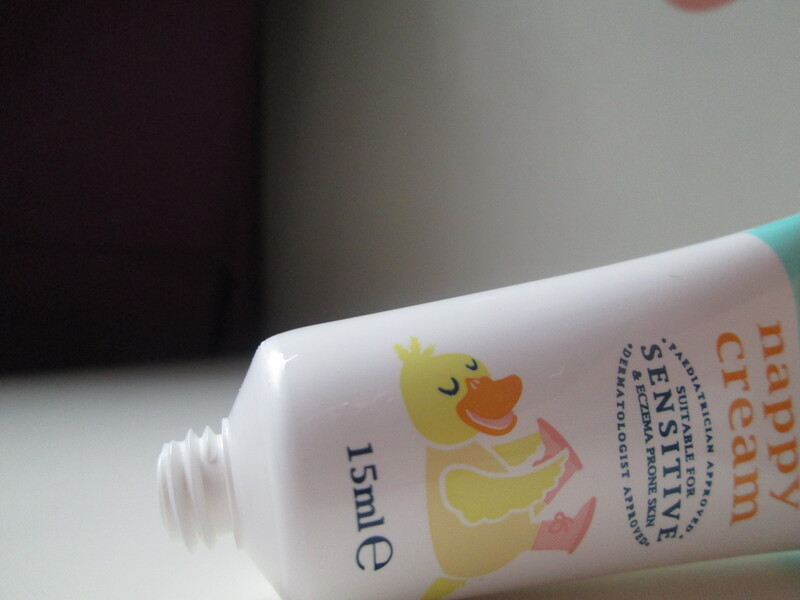 I have found that I use the Childs Farm Baby Moisturiser in this set much more in the bathroom as it is easier to have the smaller bottle to hand beside Baby S's clothes and towel than the bigger bottle. Plus I use a mat to dry her so I am able to use both hands to apply it! Inside this Childs Farm Baby Essentials set contains a product which I have never seen let alone used. (Maybe I am just looking in the wrong place?) That is Childs Farm Nappy Cream. I have used many nappy creams since D was a baby and most feel quite thick, sticky and dare I say oily. Childs Farm Nappy Cream is none of those. The little tube in the Baby Essentials Set is perfect for popping in the changing bag for on the go use. Baby S has recently been teething and with teething usually comes nappy rash. 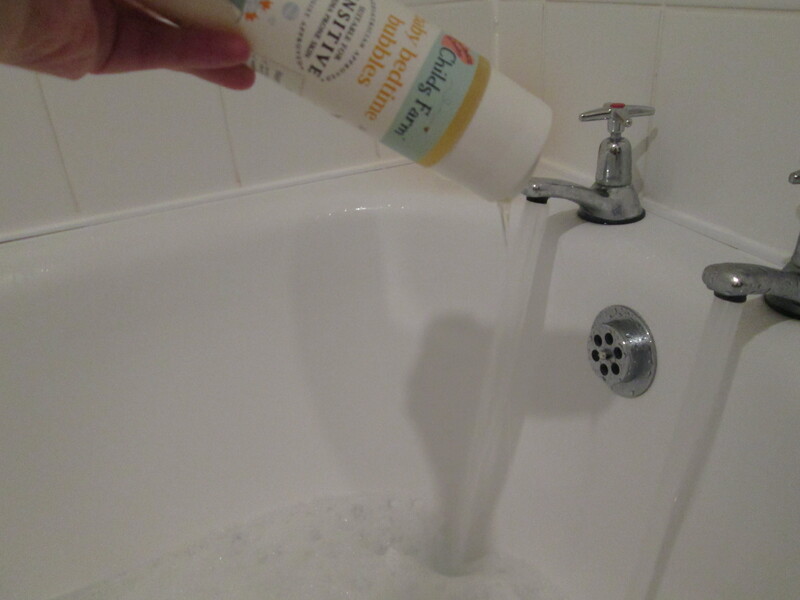 I have been using the Childs Farm Nappy Cream for the last few weeks and I am so impressed! I love that it feels so silky soft going onto Baby S's skin. It works brilliantly and has been quickly added to my shopping list. I love the Baby Essentials set from Childs Farm. It would be a great gift to add into a babies stocking or gift basket for either babies or even for parents who are expecting their baby around Christmas. Not only that but this would be perfect to give as a gift to anyone with a baby who is spending Christmas abroad or those spending it with family or friends. The smaller size of the Childs Farm Baby essentials set makes it perfect for travel and adding into small stockings. With great products inside they are fantastic gifts. You can purchase the Childs Farm Baby Essentials Gift Set (RRP £9.99) by clicking on the link. The Childs Farm range is available from Childs Farm, Boots, Tesco and Superdrug just to name a few places. Over the last month or so one of the big things on my mind has been getting Baby S up into her own bed in the evening. She doesn't usually sleep too well in the evening and I think a lot of it has to do with being down stairs and all the noise. Since I can't be the only parent out there trying to set up a routine I thought a great gift idea would be a baby monitor from a reliable baby brand. I know this one would be a gift I would be delighted to receive! Tommee Tippee is a very well-known brand. The brand started out when a doctor requested a non spill cup with a weighted base from three brothers in America. A cup which the doctor refused to buy, leading the brothers to add a picture of their dog Tommee to the cup. That was the start of Tommee Tippee, although it wasn't until the late 60's that a business man brought the cup and other feeding accessories to the UK starting a manufacturing unit and the Tommee Tippee we know today was really born. With a range that branches out from non spill cups, bottles and feeding accessories to nappy bins and baby monitors. When D was a baby I vaguely knew Tommee Tippee had their own baby monitors. However we got given a baby monitor from a family member just before D was ready to go to his own bed alone, I didn't need to look into which ones I might like to try. With Baby S I have researched the brands I wanted to try, along with ones which I thought would be good for most parents. One that falls into both those categories is the Tommee Tippee Digital Sound Monitor. 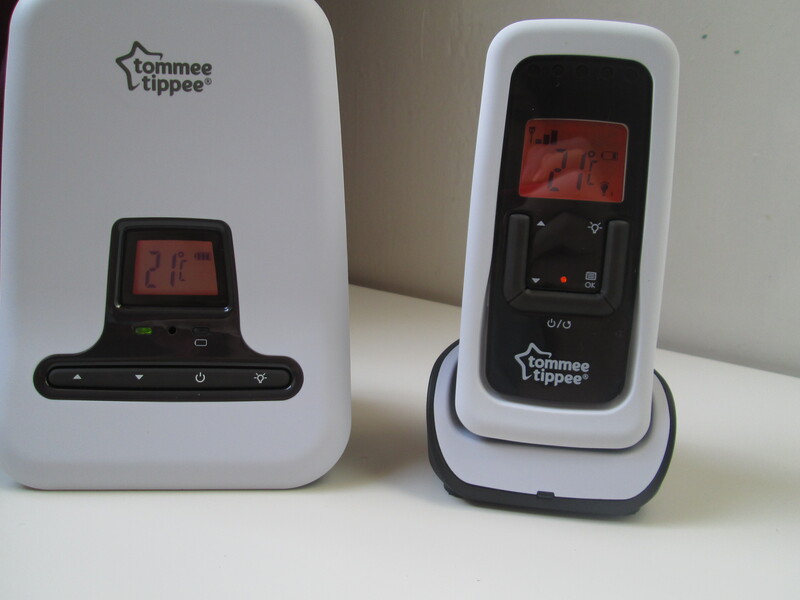 The Digital Sounds Monitor from Tommee Tippee is so easy to set up! Once I removed all the items from the box I had to add the rechargeable batteries (which are included, perfect since I would have forgotten to buy them for months!) to the parent unit and place it on the docking station which charged them up. It is recommended to leave this charging for 6 hours before you turn the parent unit on. After charging I set about figuring out how it all worked and which settings we wanted to try, using the manual in the box. I set about getting the main baby unit set up. The Tommee Tippee Digital Sounds Monitor, main baby unit boasts a whole host of features, an easy to read LCD screen which displays the room temperature and battery level if batteries are added. Just below the LCD are two lights which indicate when the unit is on and when the batteries are low (if they are added). The buttons on the unit allow you to control the sensitivity of the unit, I first set this up to be 4 although I later changed it to 5 after we used it for the first time. I use it at this level as it allows me to actually hear Baby S if she moves around and on occasion I have heard her breathing! 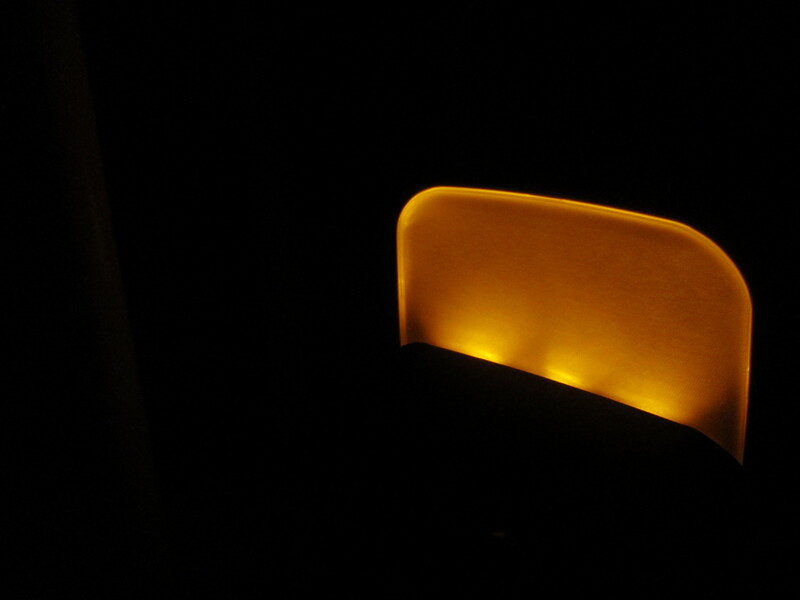 Another feature built into the Tommee Tippee Digital Sound Monitor Baby Unit is that it has a low-level yellow light behind the main white front of the unit at the top. This low level light has 3 settings which enable you or the baby to see should it be needed. I love this feature. Baby S screams if she wakes up in complete darkness. Using the low level light means she can wake up with some light but wouldn't be disturbed by it at night. To make this feature even better the level can be adjusted using the parent unit. 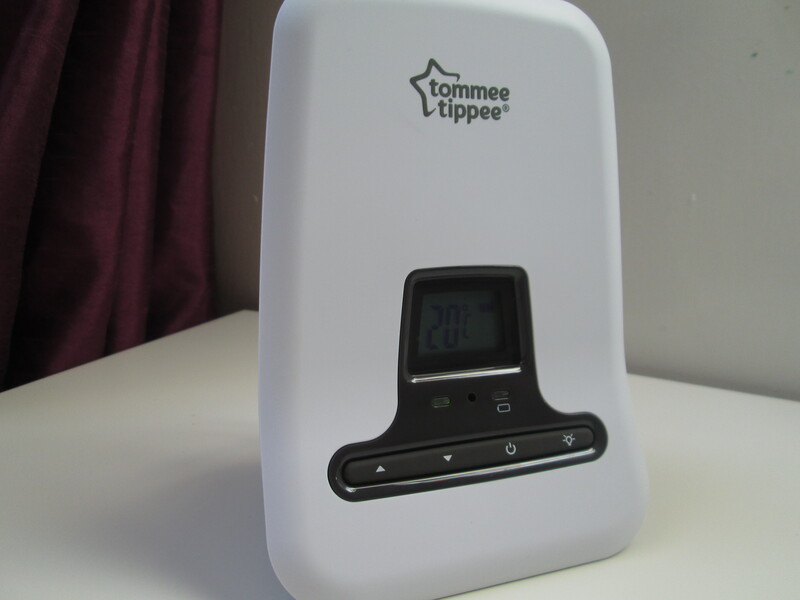 The real star of the Tommee Tippee Digital Sound Monitor is the parent unit. Since it contains the rechargeable batteries the parent unit is portable. An essential feature for any parent in my opinion! I know it has been invaluable to me. I can take the unit with me as I manage to squeeze in some cleaning. The parent unit has a lot more information available on the screen including the temperature from the baby unit, light level of the baby unit, battery life and the signal level all at a quick glance. There are also five lights along the top of the parent unit for the Tommee Tippee Digital Sound Monitor which will light showing the level of sound when there is sound coming from the Baby Unit. Baby S hasn't made it go past the 4th even when she is shouting! From the parent unit you can adjust many settings using the menu button including language, sensitivity and the volume at which the baby unit sends out sound from the talk back feature. I adore the talk back feature on the Tommee Tippee Digital Sound Monitor. There have been times when I simply can't get to Baby S the second she wakes up, I mean it takes a little time to actually get up to her. The talk back feature in the Digital Sound Monitor allows me to talk to Baby S and calm her while I get up to her. I've actually made it up to find out that she has gone back to sleep with me talking through the monitors. It's so easy to use too. Just click the little button on the side and hey presto! You can also see the clip on the back of the unit which can be attached to clothing if your going to be busy going room to room. I love this. 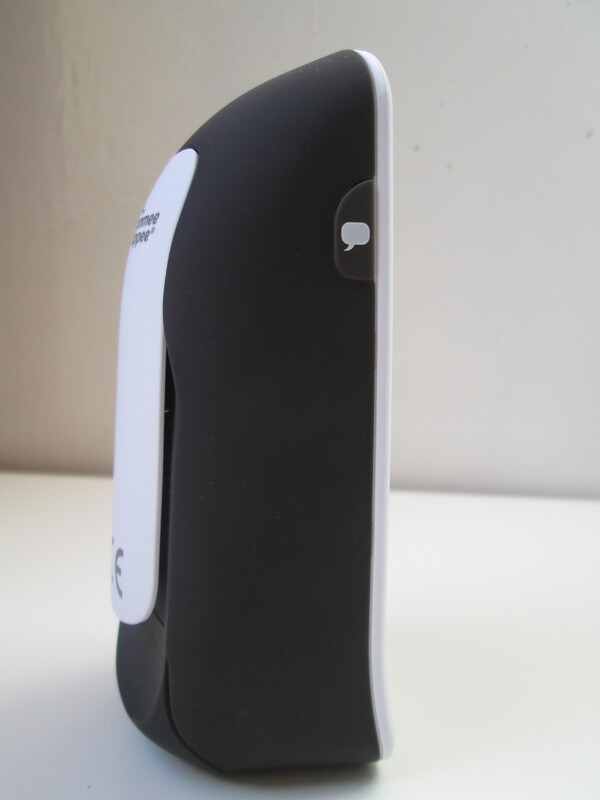 The final feature for the Tommee Tippee Digital Sound Monitor is the paging function. I have not had to use this yet although I have given it a test and I know it will be invaluable when I do have my moments of baby brain and forget where I have put the parent unit! You simply hold in the up and down buttons on the baby unit and it will send out a paging signal to the parent unit which will last for 2 minutes if you don't deactivate it. This makes a sound allowing you to go in search of the parent unit. Now I just wish all the other portable items in my house did the same! 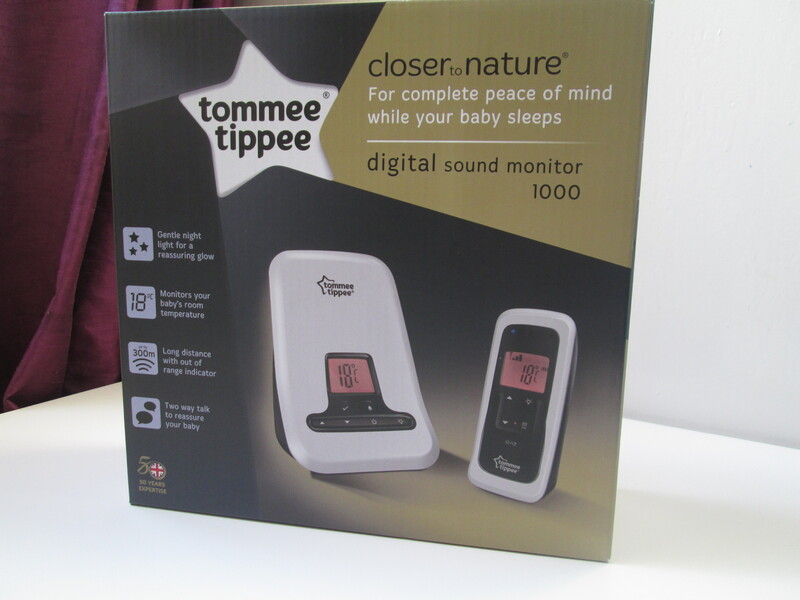 Thanks to the Tommee Tippee Digital Sound Monitor we have been able to get Baby S on the path to a good bed time routine in her own bed. Giving us some time for ourselves! The Tommee Tippee Digital Sound Monitor would be perfect for parents who like us who are ready to start thinking about getting baby up into bed on their own at night. This would make it the perfect gift for babies and parents you know who could use some time for themselves or to get a little extra done in the evening this Christmas. I think that has got to be one of the best gifts you can give to a parent at any time of year! It is certainly one I will always be grateful to get. You can purchase the Tommee Tippee Digital Sound Monitor (Currently £52.99) by clicking on the link. It's also available from Argos, George at ASDA, Kiddicare and Toys R Us. I hope you have found my suggestions helpful this Christmas Season and do pop back to see what other ideas for gifts I have to share. Disclaimer: The products featured above have been received in return for an open and honest review featured in the guide. All thoughts and opinions expressed are my own. Great ideas, especially love the sensitive skin products!